Halloween in Bulacan will be on full swing as SM Cinema, the largest film exhibitor in the country launches the first ever Sine-Sindak Horror Film Festival. Running from Oct. 24–30, the film festival brings horror films that fans can watch for only PHP99 each. Viewers and shoppers can also binge-watch in one day as all-day movie passes are also available for only PHP 199. 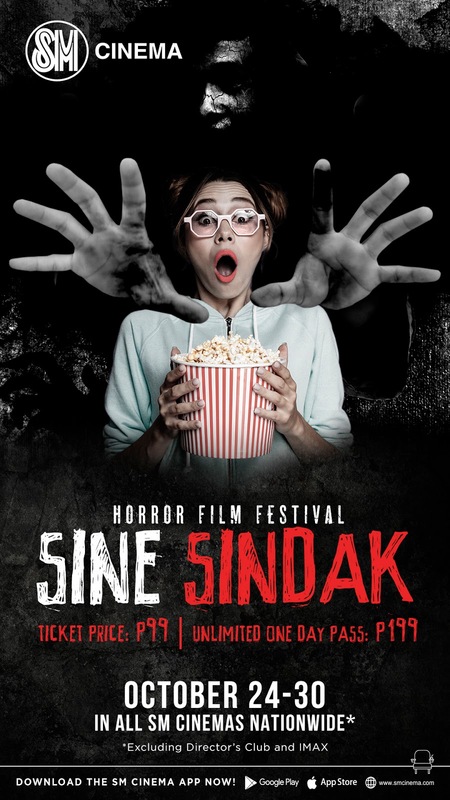 In partnership with CrystalSky Multimedia, a key distributor of internationally renowned films; Sine-Sindak features eight (8) international horror movies that will surely send shivers down your spine. Witness the terrifying ordeal of two cynical scientists (Jed Brophy and Jeffrey Thomas) and a young psychic (Laura Petersen) as they encounter a powerful spirit protecting the secrets of an old farmhouse. Starring Abbie Cornish, this film follows the life of a photographer after she suffered from a severe memory loss. A concerned psychiatrist (Justin Long) tries to help her recover her lost memories and unravel the secrets of her forgotten past. A young man struggles to survive in the aftermath of a deadly undead outbreak during the American Civil War. So skip the trick or treat as well as hunted houses and catch Sine-Sindak movie offerings in the SM Cinema of SM City Marilao, SM City San Jose Del Monte and SM City Baliwag. Book your tickets through the website, www.smcinema.com or download the SM Cinema mobile app. You may also follow /SMCinema on Facebook and @SM_Cinema on Instagram for updates! Tag your movie buddy and be that brave soul! See you at SM City Marilao, SM City San Jose Del Monte and SM City Baliwag!